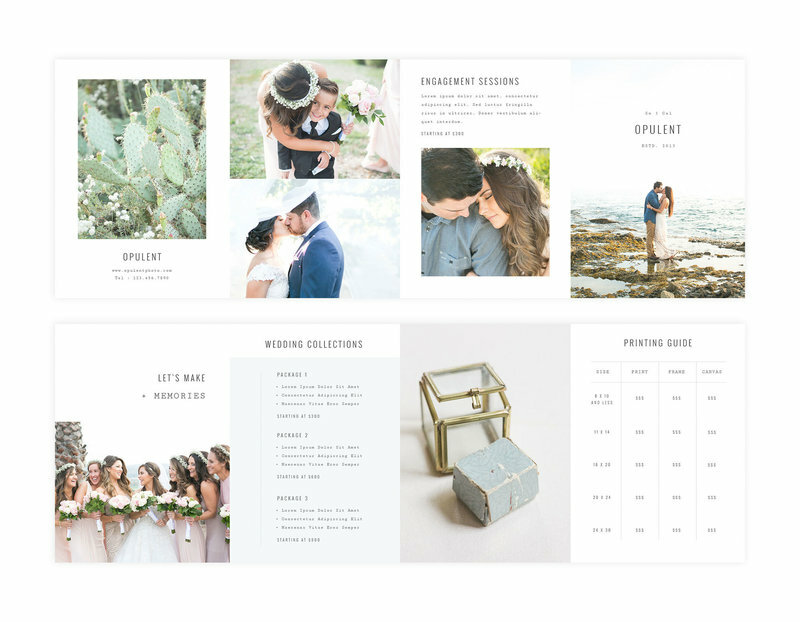 • Accordion Brochure (5 x 7 in) including Information about wedding, engagement, & printing sessions. 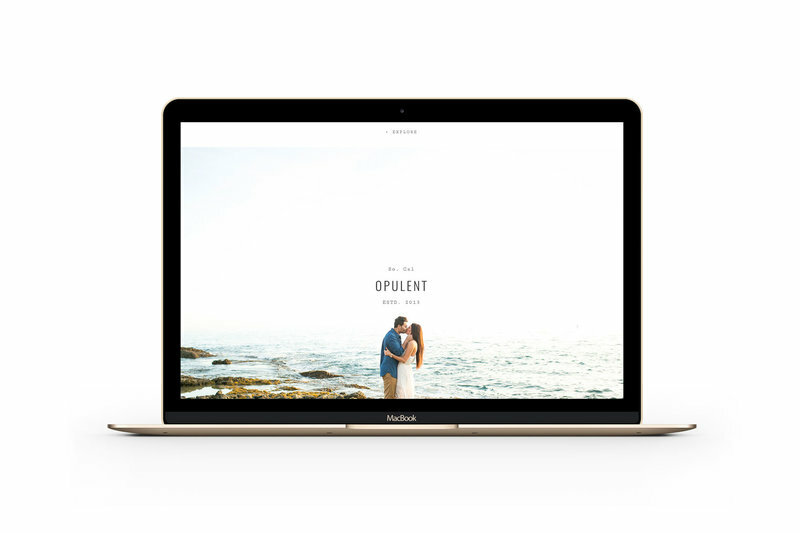 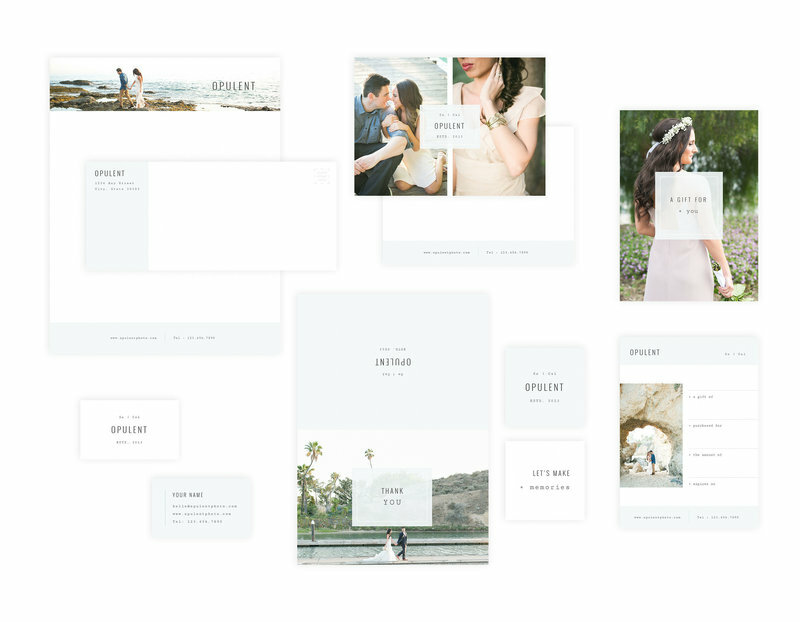 Show off the simplistic beauty of your work with this light and airy marketing set that goes along with our website template. 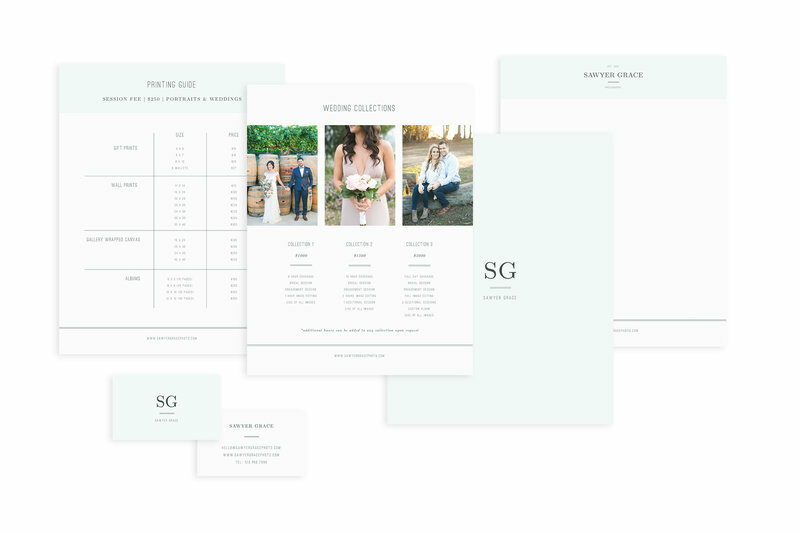 Featuring classic, timeless typography, a delicate color palette, and a wonderful use of negative space; this template is perfect for those photographers looking to tastefully show off their lovely photographs. 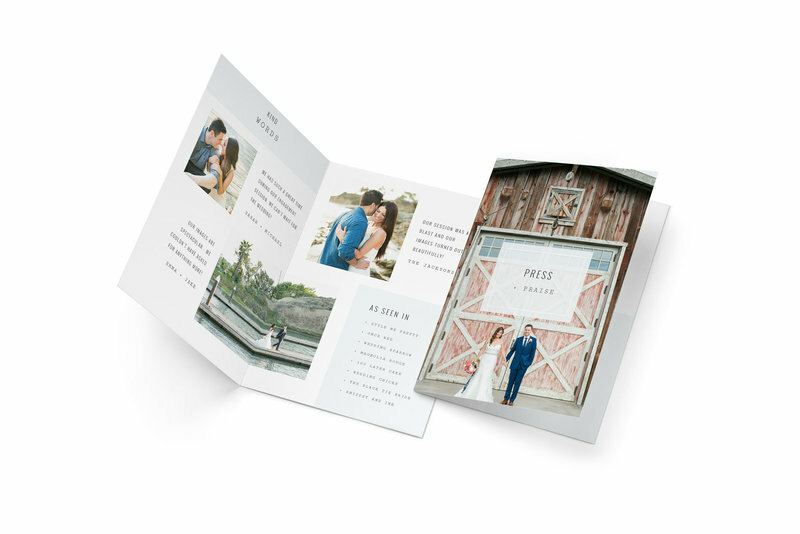 Reassure your clients by displaying your best-published work, as well as testimonials from your best clients with this folded press + praise card. 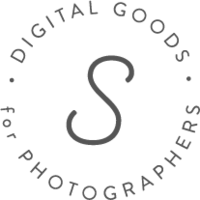 Implement your own branding, colors, and typography effortlessly with our easy-to-follow PDF instructional guide. 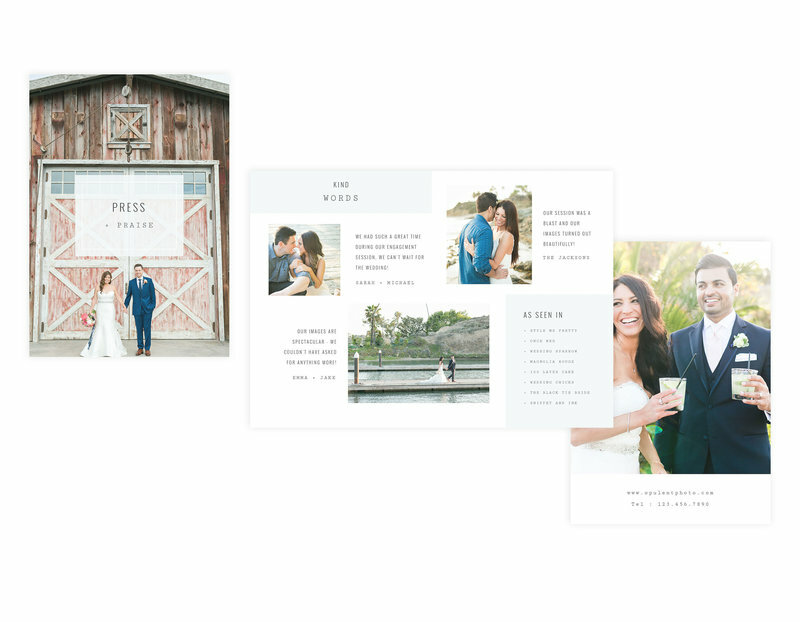 Educate your clients about your photo studio, as well as show off your beautiful work with this fully customizable accordion brochure. 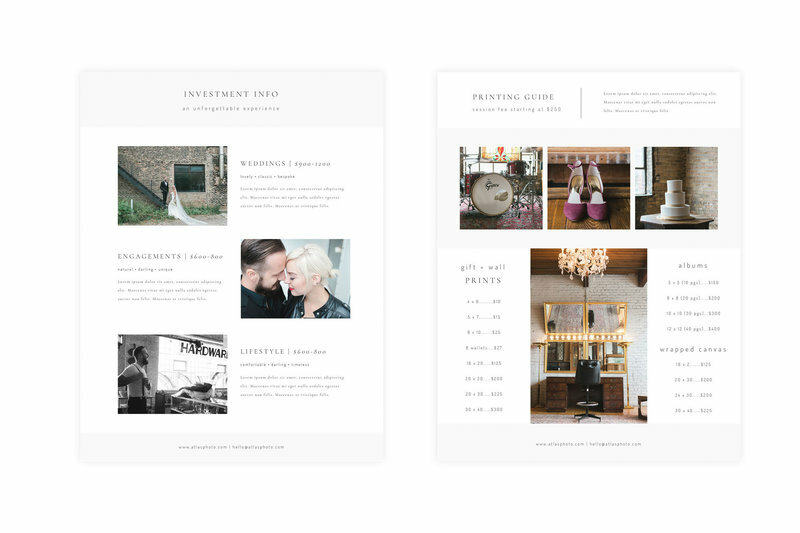 Implement your own branding, colors, and typography effortlessly with our easy-to-follow PDF instructional guide.